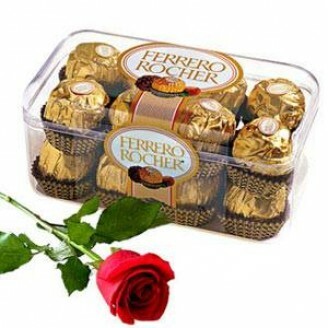 16 pcs ferrero rocher box with 1 beautiful rose. For any query please call our customer support number +91 9654 66 33 55. Or write an email to giftcreation@giftjaipur.com. GiftJaipur is pioneer in delivering premier products across Jaipur.